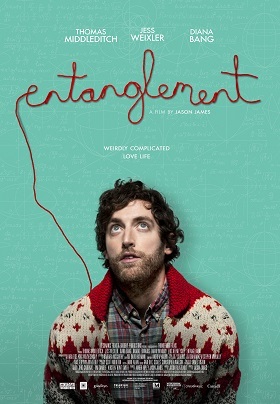 This is a new clip for Entanglement. You can read our review here. Check out the synopsis and clip below. "While searching for the meaning of his existence, Ben Layten (Thomas Middleditch) uncovers a family secret that leads him to a woman named Hanna (Jess Weixler)… But when he and Hanna inadvertently fall in love, his life becomes increasingly and strangely complicated. Ben starts to realize that everything is amazingly and incredibly connected – and that the world might just be more inexplicable than he ever imagined."